Please scroll down for English verision. 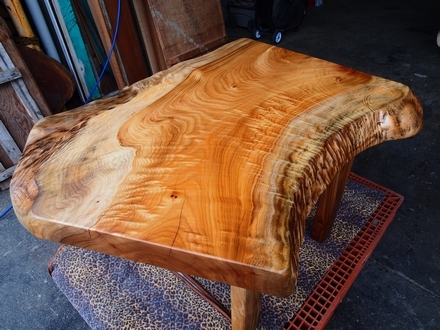 We made a delivery of a Camphor table. 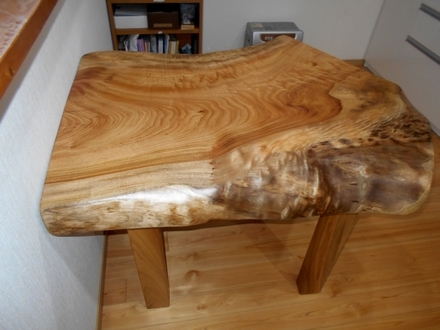 The table top is 10 cm thick and has a clear, beautiful 縮杢 (chijimi moku). 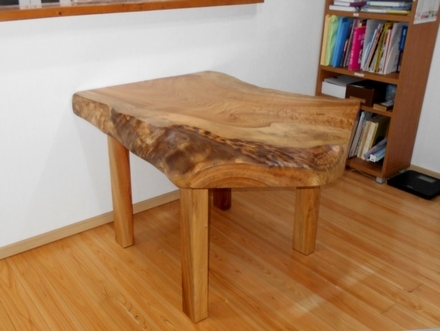 The kanji "縮" means "shrink" and the kanji "杢" means wood grain. 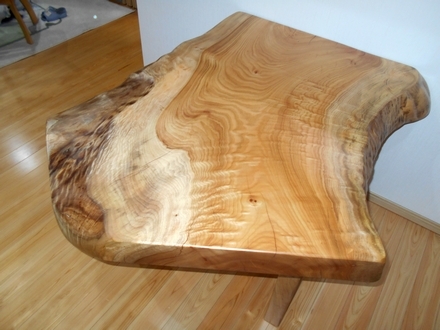 It was a small table but had a strong, sturdy presence.